America’s capital city is widely regarded as one of the world’s most important political hubs and no trip to DC is complete without gazing at the White House and paying heed to the temporary and permanent protest groups that align the concourse outside of the main gates. 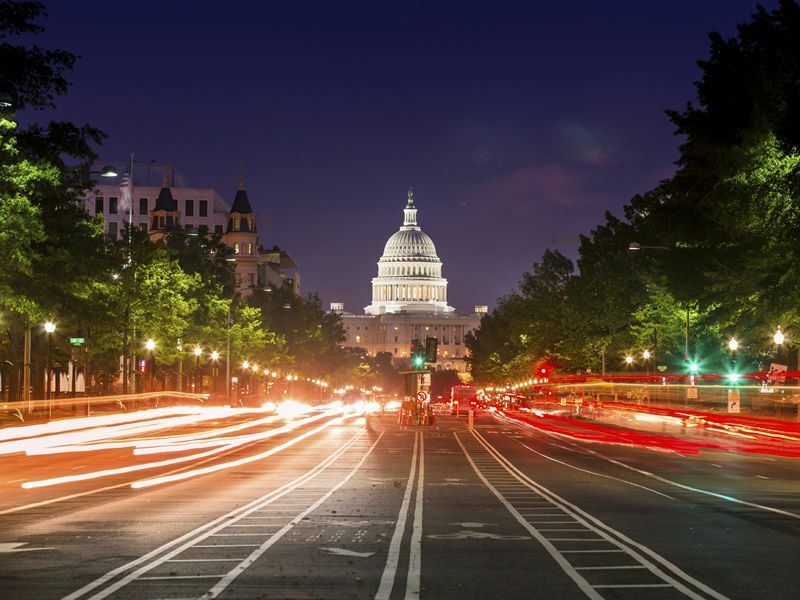 Aside from the political drama that unfolds before your very eyes, Washington DC is also highly thought of for its dedication to the arts and education with the museums and galleries of the Smithsonian Institution offering free access to interactive exhibits and fascinating information. From substantial areas of greenery to an eclectic mix of characterful neighbourhoods, this is an amazing city and thanks to its location, just below Boston and New York City, you’ll find a fitting end to a thoroughly educational tour of the east coast. If you’re looking for further ways to spend your time in the city then check out the top 10 things to do in Washington DC that offers lots of fun and interesting excuses to while away a few days in the capital of the USA. Relatively small yet perfectly located, along the Potomac River, Great Falls Park offers over 800 acres of greenery just 15 miles away from the city centre. This is an awesome oasis if you’re looking to explore out of town and with over 15 miles of well-trodden trails available, you’re bound to find the right spot to collect your thoughts. Top trail: Follow the fast-flowing falls of the Potomac as you pass by dams, reservoirs and boulders before you finally reach Mather Gorge on the borders with Maryland and Virginia. 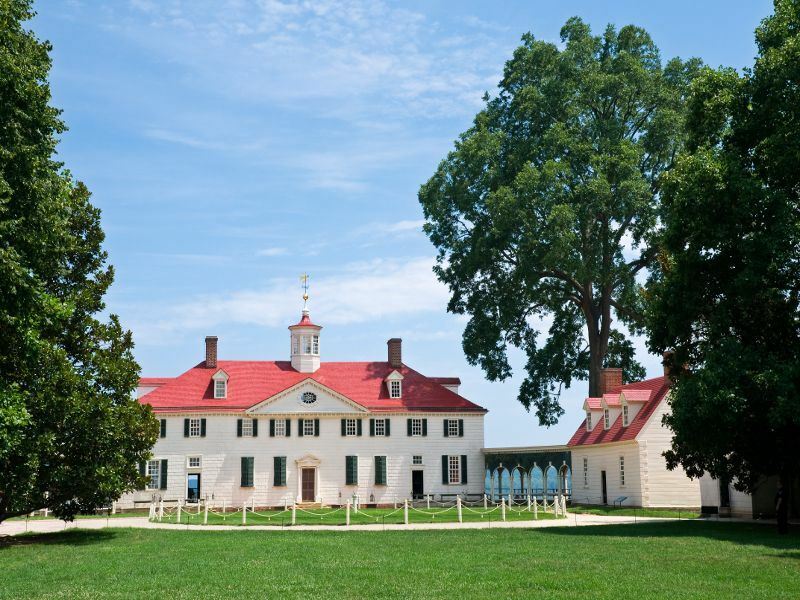 Not far from Alexandria is the resting place of George Washington and a visit to the plantation estate that he once called home, will help you learn a little more about both the man and his predecessors. This mansion sits on some 500 acres of land overlooking the Potomac River and is open to the public offering a chance to explore reconstructed outbuildings and mills as well as a distillery which serves as testament to 18th Century liquor production. From the Civil War to American Presidents, Washington DC is pitted with more memorials and monuments than nearly any other American city and if you’re planning to expand your historical knowledge as you get your bearings then planning a memorial tour is an excellent means of doing both. Some of the most important sites include: the Iwo Jima, the Lincoln and the Martin Luther King Jr. memorials, with the National Mall providing the lion’s share of notable landmarks. If you’re in love with the works of Tom Clancey, John le Carre and Robert Ludlum then you simply have to pay an undercover visit to DC’s spy museum because right here is where fiction turns to fact in a fascinating and entertaining homage to all things espionage. Located opposite the National Portrait and American Art galleries, you’ll discover over 600 artefacts detailing the history of spying from the Greeks to the Russians as well as some pretty cool chances to pit your wits against the museum’s very own ‘secret police force’. 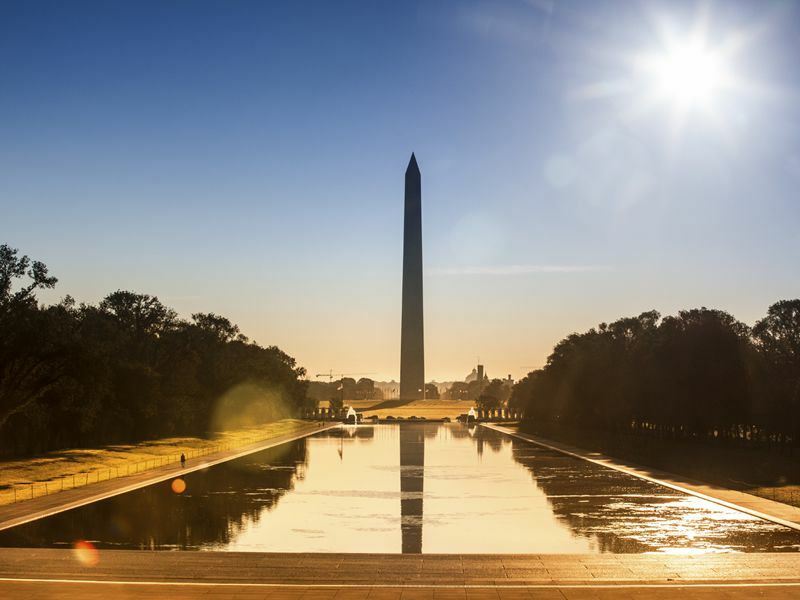 Pretty difficult to miss but none the less worthy of your time, the Washington Monument sits pride of place on the National Mall and is considered to be both the tallest structure made of stone and the tallest obelisk in the world. At just over 550 feet in height and surrounded by 50 flags, to represent the states of America, this is a truly impressive beast and a must for all photographers when juxtaposed against a clear blue sky. If you fancy climbing up inside you’ll find just shy of 900 steps although there is a lift which offers a quicker and less sweaty alternative to the monument’s observation deck. Situated just 6 miles to the south of the city, Old Town Alexandria holds a wealth of attractive boutiques, fine dining restaurants and historical theatres and is the perfect place to stroll on a Sunday morning. Not only is Alexandria well-known for its affluent residents it was also once the home of Robert E Lee and no self-respecting civil war buff will be able to pass by without at least a cursory nod to the General. With almost 1000 acres of divided parks and plenty of galleries, museums and historic buildings, Old Town Alexandria is a definite winner if you’re looking for culture and higher-end entertainment. These neighbouring buildings provide an insight into where the 16th President of America, Abraham Lincoln, was shot and where he subsequently died a day later. Located on 10th Street and now designated as a historic site of interest, you’ll find a collection of memorabilia relating to Lincoln’s assassination including the Derringer pistol and the pillow on which he finally passed away. Admission is free and the tour of the theatre and the Petersen House both offer a memorable step back in time with an infamous murder thrown in for good measure. As mentioned, the National Mall is scored with several of America’s most significant landmarks with Vietnam veterans, former presidents and WWII soldiers all remembered amongst a truly unique and thought-provoking setting. The Lincoln Memorial is one of many highlights and as you pass by the Reflecting Pool after pausing at the WWII Memorial, it will come as no surprise that you’re moved by this nation’s respect in honouring their dead. Within easy walking distance of the rest of the city and providing a peaceful place to ponder, it’s easy to see how the National Mall regularly attracts overs 20 million visitors looking for peace, knowledge and a place to picnic. This incredibly impressive building can be found on top of Capitol Hill and serves as the meeting place for American Congress aka: the House of Representatives and the Senate. If you’re hoping to visit DC and find out more about the history of Congress then this is the place to do it with: interactive displays, grand statues and collections of important documents enabling you to find out more within a truly breath-taking setting. 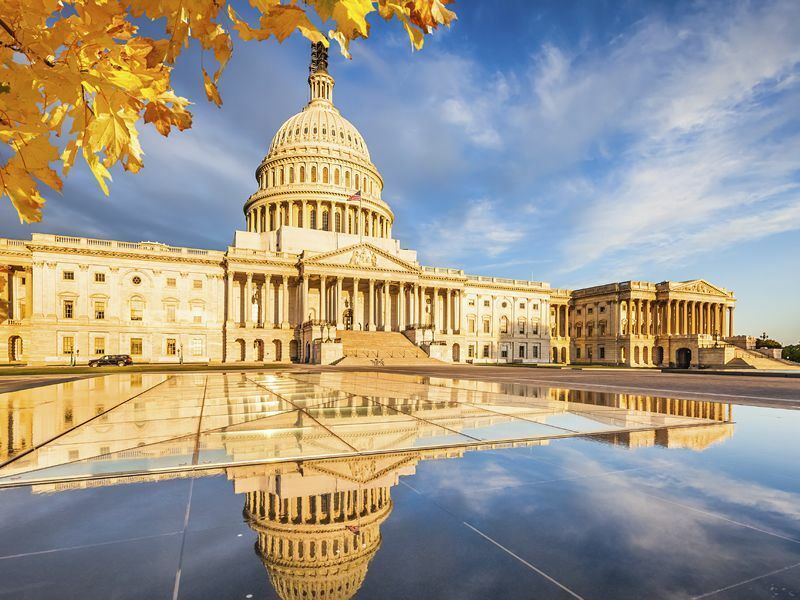 Aside from the US Capitol building Capitol Hill also houses plenty of other important landmarks with the Marine Barracks, the Library of Congress and the Congressional Cemetery all adding to the fascinating history tour. 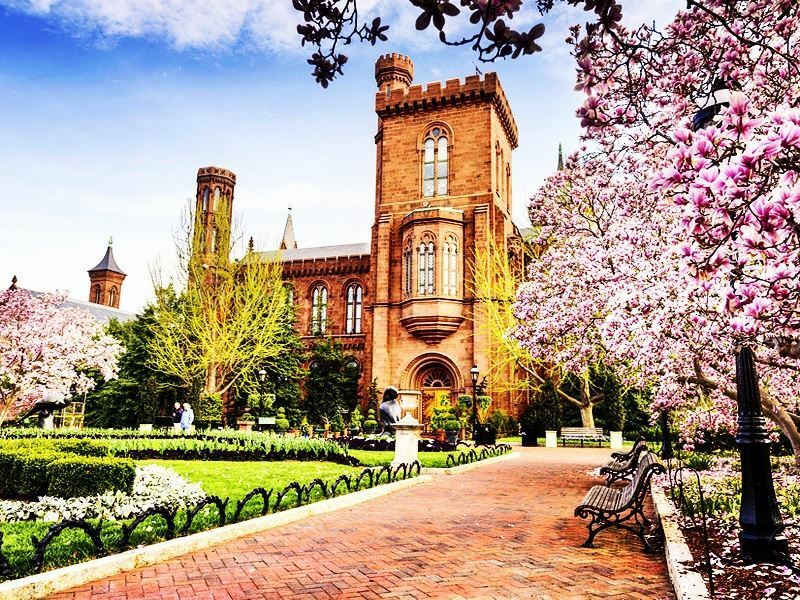 There can be few organisations throughout the world that are able to offer such a wealth of information and absorbing attractions for absolutely nothing at all and if you’re hoping for an affordable day out then the Smithsonian museums and galleries offer just that. With over nineteen museums in total, featuring: natural history, Native American art, spaceflight technology and the original Kermit the Frog, this is as extensive a collection as you’re going to get and as it’s free there are literally no excuses for not taking in at least one or two of these awesome exhibitions.